Was Your Home or Business Flooded ? 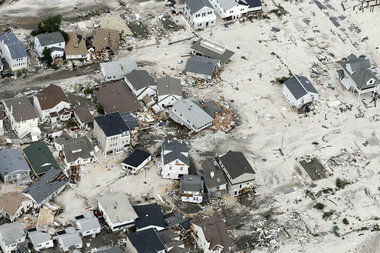 Was Your Structure Cleaned Up After The Storm ? Are You Going To Rebuild or Renovate ? Are You Aware Of Possible FUTURE Mold Problems ? The process of rebuilding or repairing your home or business can be difficult at this time because of inconsistent information on what needs to be done. What I can help you with is to understand what you need to do as far as preventing future Mold and Fungi problems that can be damaging to your building and potentially the health of you and your family. STEP 1 CLEANUP the debris, water and remove floor coverings and drywall and insulation that were water soaked. 2) Products sold in Home Improvement Stores do not kill all pathogens and have no long term effectiveness. 3) None of these products are effective on Mold spores. 4) We can assess and recommend cleanup procedures and evaluate the extent of the problem. 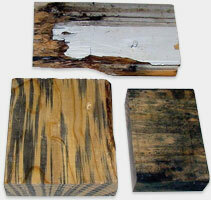 And provide long term solutions for Mold and Fungi(wood rot). STEP 3 TREATMENT with an EPA registered Moldicide is applied to as much wood surface as possible before drywall and finished floor coverings are installed. This is different than sanitation in that this is a long term preventive treatment for Mold and Fungi and also is a great termite preventive as well as other insects.